On Wednesday 13th January the department welcomed Jason Sawle, an ESRI UK Education Consultant to explore the world of GIS with our current Year 13 students, supporting their Geographical Skills examination. Jason ran an hour workshop for students, providing a hands-on practical session on the use of ArcGIS, a powerful online GIS system which the department subscribe to. Students became familiar with the ArcMap interface and learnt to create and manage maps, including beginning to explore geospatial data; plotting the location of recent earthquakes across the globe using data from the United States Geological Survey. Students also explored the 3D viewer, gaining spectacular views of many geographical landscapes across the world. 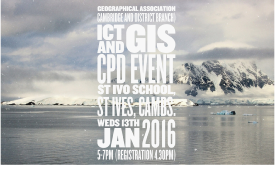 That evening the geography department also hosted and ran a CPD event for local geography teachers, in conjunction with Cambridgeshire branch of the Geographical Association. 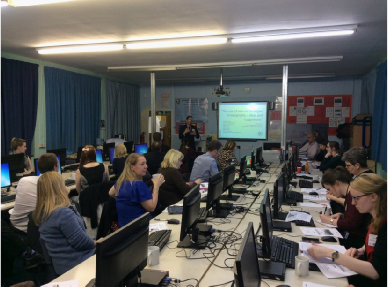 29 geography teachers from around the county gathered to explore two main themes (i) The use of new technologies in Geography and (ii) The Integration of GIS into the Geography Curriculum - An Introduction to ArcGIS Online. Sessions were run by Rob Chambers (HoD) and Jason Sawle from ESRI, and we were very proud of our sixth form geography ambassadors who were on hand to welcome and host our visitors. Our Year 9 students are currently studying Rainforests as part of a unit on World Biomes. 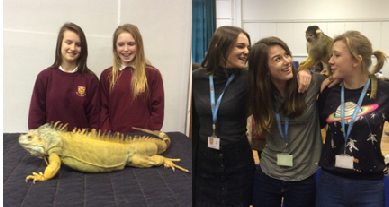 On Friday 5th February, the whole of Year 9 and some of our VI Form Geographers had the chance to get hands-on with their studies of animal adaptations and the importance of rainforest conservation through a series of workshops. Amazing Animals brought their rainforest roadshow to St Ivo and the students saw how animals such as boa constrictors, squirrel monkeys, kookaburras, iguanas and tarantulas have adapted to live in their environment. Two trained animal handlers gave all students an opportunity to learn about these unique animals through an hour-long practical experience with a fascinating insight into the world of animal adaptations. Geography club meet every Thursday lunchtime in N15 and is run by Miss Raine and Miss Booth. It is a great social opportunity to meet other people in year 7 and 8 with similar interests as well as extending and deepening geographical knowledge and understanding. Students are currently designing their own geographical themed game on a subject that interests them. As we reach February half term, we reach the start of the main preparations for the final exams in May/June. Thorough revision, backed up with practise of past papers is key to student success. Our extensive revision programme begins after half term, every Wednesday after school. 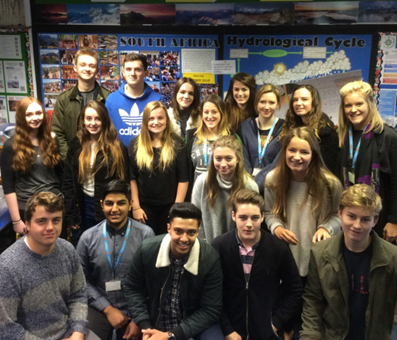 The Year 11 Geography revision programme can be accessed here: http://www.geobytes.org.uk/yr11revision2016.html. Students have also been issued with past paper booklets and the homework timetable (as of half term) is available at: http://www.geobytes.org.uk/yr11homeworktimetable2016.html. 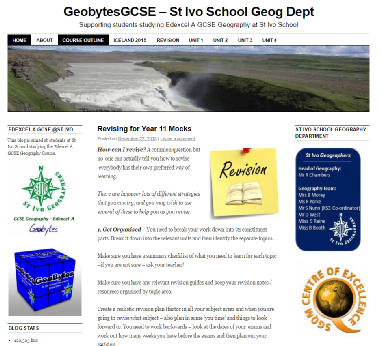 We would also encourage students to make use of the online revision resources at www.geobytesgcse.wordpress.com, including downloadable revision cards, podcasts and interactive past papers. GeoTweet bitesize revision sessions will commence in March and revision reminders etc. will be posted on our twitter feed @StIvoGeography and Facebook page). - support in KS3 classes and where required provide mentoring e.g. support with Geography homework. We have already had some very positive feedback with regards to the work of our ambassadors and there are lots of forthcoming events which they will helping out at.